We recently teamed up with Well+Good design director Jenna Gibson, as well as digital designer Ems McCarthy, to transform an 11,000-square-foot, “formerly corporate” office into a mystical urban oasis. 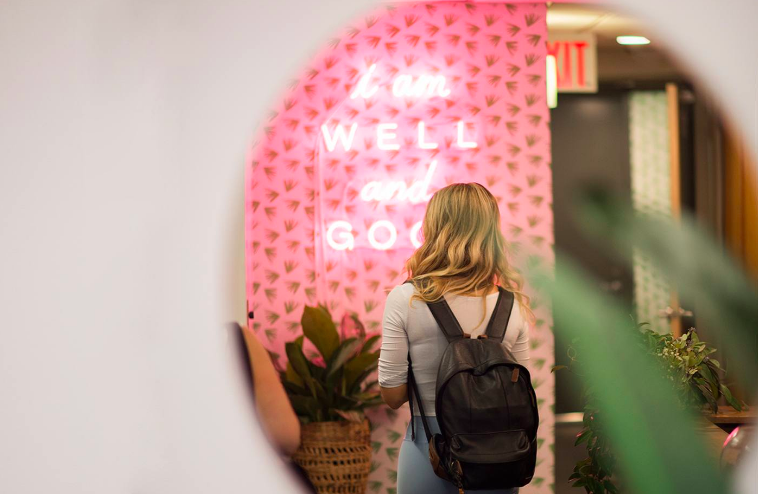 With a plethora of statement furniture from Room & Board, geodes in all the right corners, plant filled windows, and of course, Instagram worthy neon, the new Well+Good HQ is now our favorite workspace. Take a peek at their new digs in their office tour!